Nationals infielder Wilmer Difo went 2-for-3 with a walk and solo home run in Thursday's win over the San Francisco Giants. The homer was his second of the season. 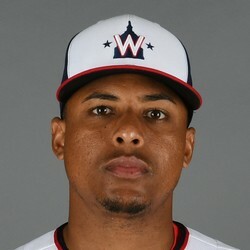 Difo has been the primary fill-in for the injured Trea Turner but has batted just .229 with two home runs, seven runs scored, five RBIs, and no stolen bases.